It has been too long since our last Entertaining with Style feature! I am so glad to have more hosting and party inspiration for you, especially as we approach the holidays. 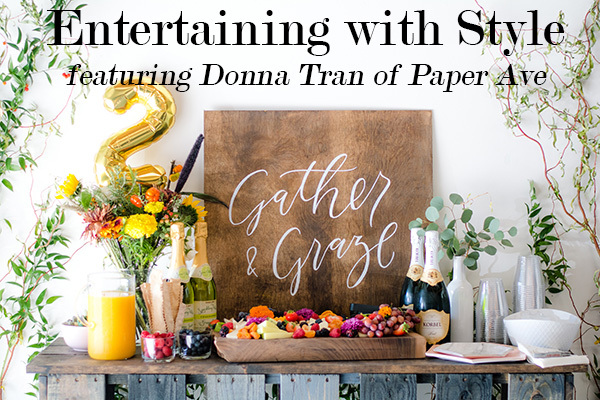 Today creative business woman Donna Tran of Paper Ave shows us how she decorated her most recent party, a 2 year business anniversary celebration! 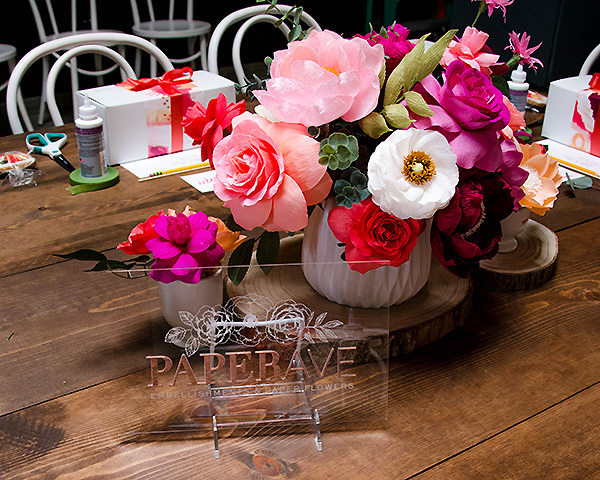 Paper Ave is a company that sells artistically created crepe paper flowers as well as hosts fun flower making workshops. Here is a peek at her recent event. 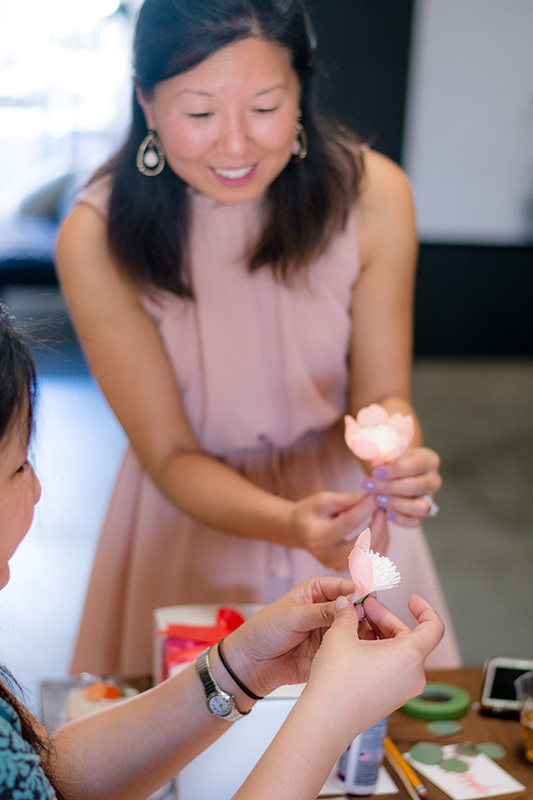 My name is Donna Tran-Corona and I am the artist and owner of Paper Ave, a business that specializes in colorful and cheerful handmade crepe paper flowers. 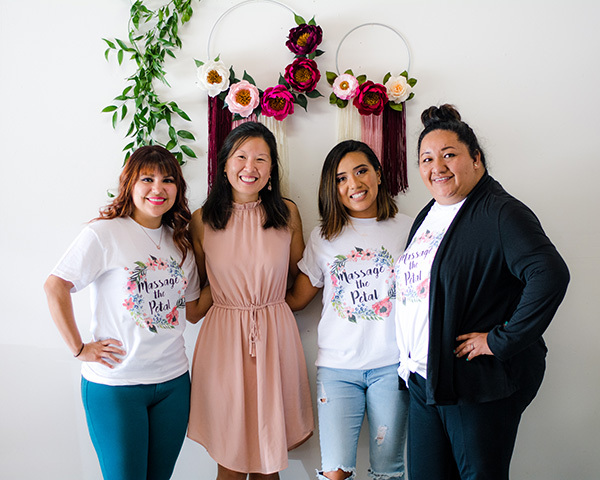 The business was officially established in October of 2015 as a side-hustle and after getting married and moving to Huntington Beach a year later, I decided to pursue the life of a creative entrepreneur full-time and what a ride it has been! When my friend Deanna from Smoke and Brine Co. 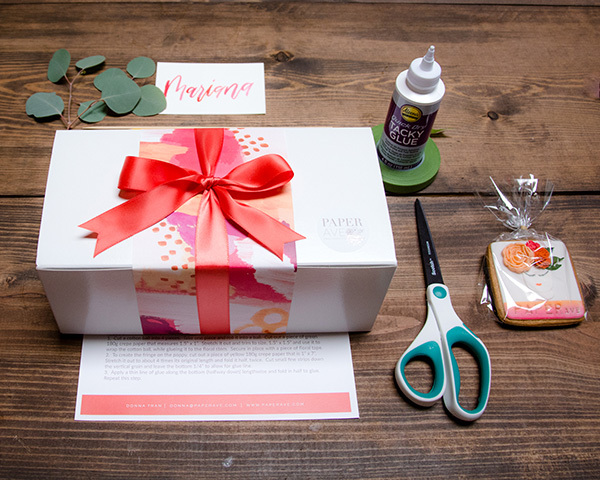 Warehouse reached out to me to teach a workshop at her new venue, we decided that it would be a ton of fun to celebrate Paper Ave’s second birthday there by hosting a celebratory workshop to mark the occasion. Here’s how I planned this exciting event! Having a design background has really helped me be comfortable in working with colors and I definitely wanted to use bright colors to create a fun, colorful and festive environment. Our guests included long time college friends, new friends who I have met from past workshops (this was their 3rd one with me for a few of them!) and a few vendors who have been such a crucial support within my business. 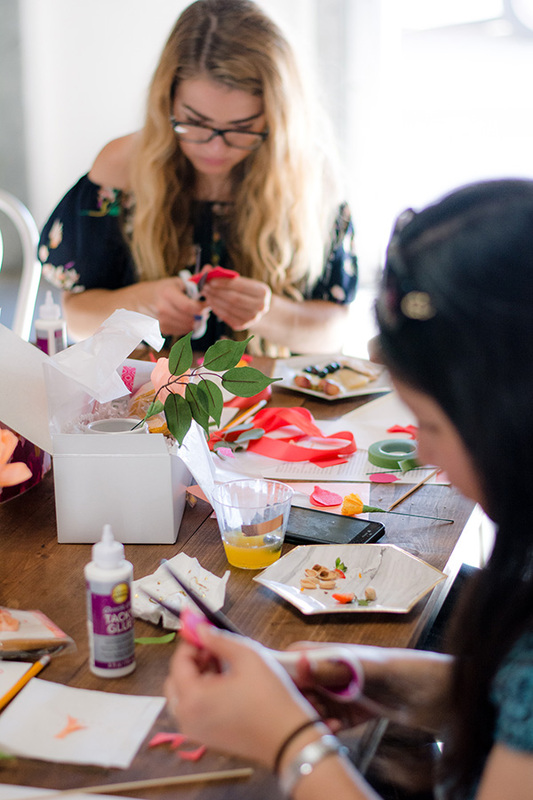 Each attendee at the Paper Ave workshop was provided with their own kit that included the templates, crepe paper, floral wire, vase, moss and additional supplies. 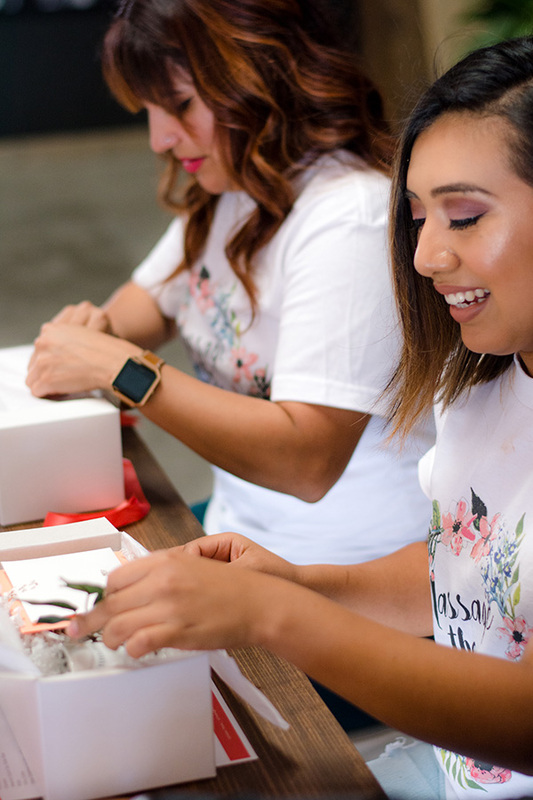 Our paper flower kits are always packaged with a labor of love to make opening each kit an enjoyable experience on its own. 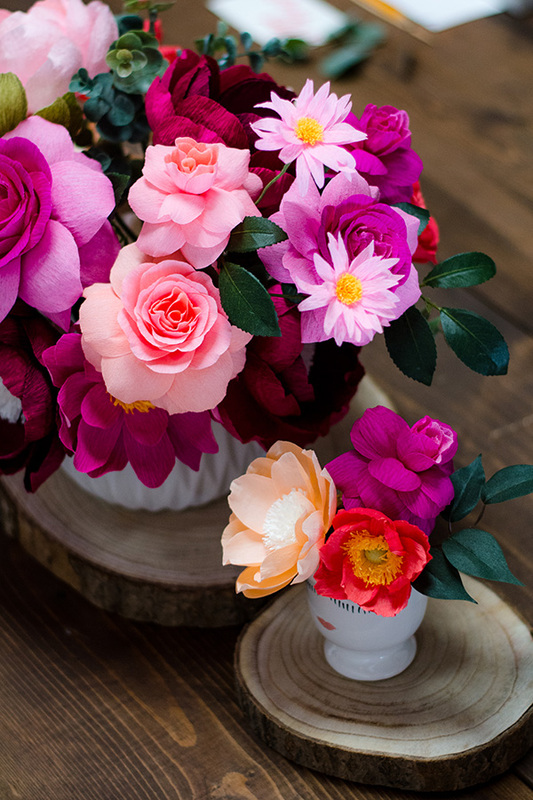 For party decor, a colorful bouquet with various handmade paper flowers including peonies, roses, dahlias, and little wildflowers were used as centerpieces, paired with white vases to allow the colorful flowers to pop. Custom cookiesinspired by the workshop were made by Jennifer Tee based out in Irvine, CA and they were the cutest keepsake for everyone (almost too pretty to eat!). What’s a birthday party without some delicious bites and drinks along the way? Deanna from Smoke & Brine. 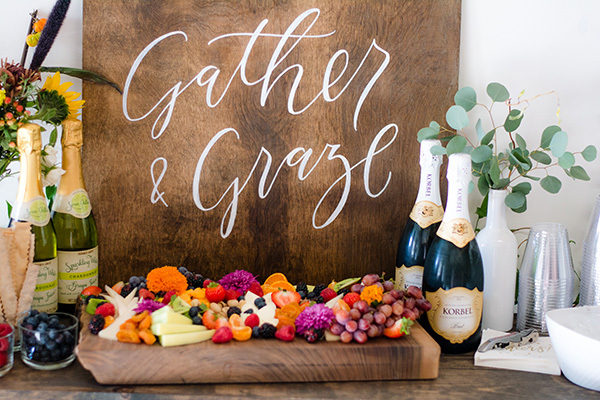 Co provided the most beautiful and colorful platter filled with various cheeses, fruits, and nuts and it was a perfect match with our DIY mimosa station (champagne, sparkling cider, orange juice and some fresh blueberries and raspberries). 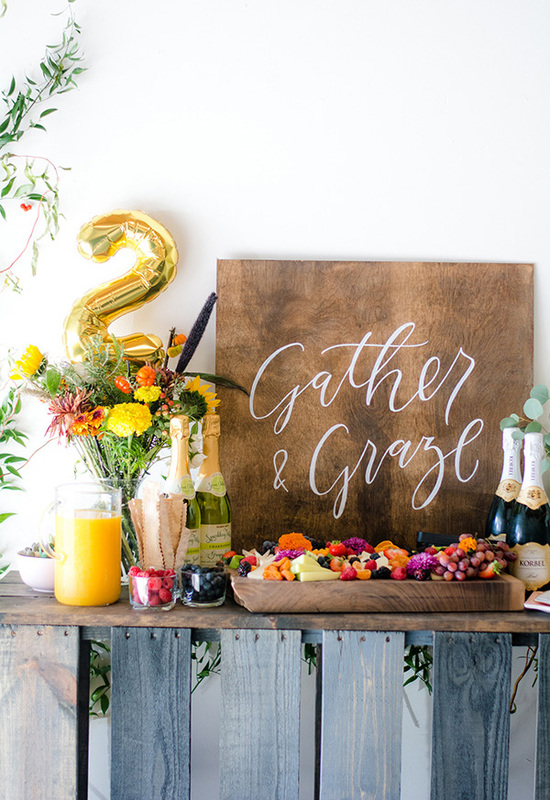 Loren of Four Things Paper provided the ‘Gather and Graze’ calligraphy signage as a beautiful backdrop for the food and drinks area. Some fresh florals and a number 2 gold balloon were used to celebrate the occasion as well. 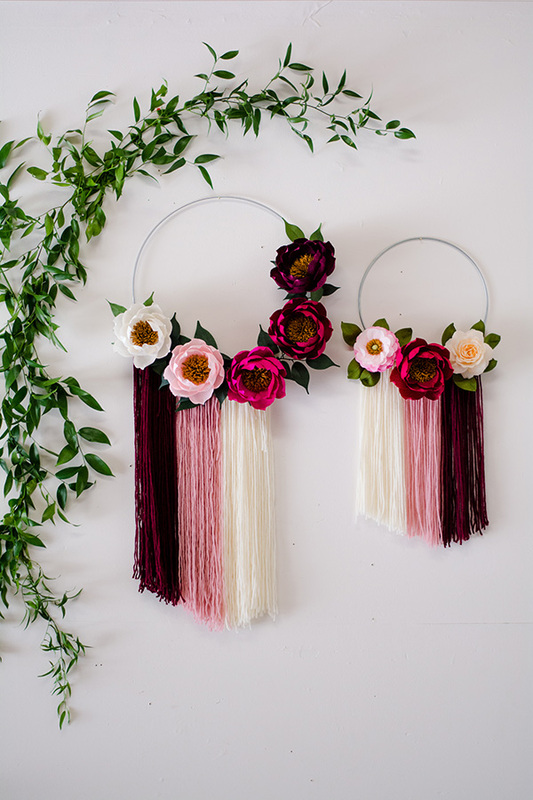 I also paired live greenery with my colorful paper flower hoops, which made a great backdrop for people to gather in front of for photos. 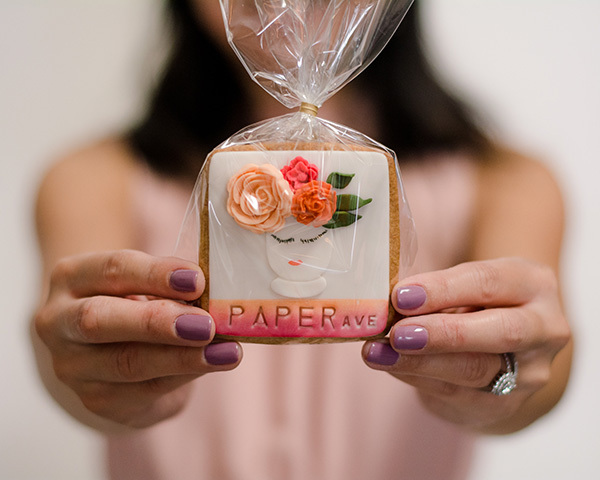 This party was so much fun to put together and a great way to celebrate 2 years for Paper Ave! 1. Don’t be afraid to use colors! Colors have always been an inspiration for me and I just think it can be used to create a fun, festive and happy environment! 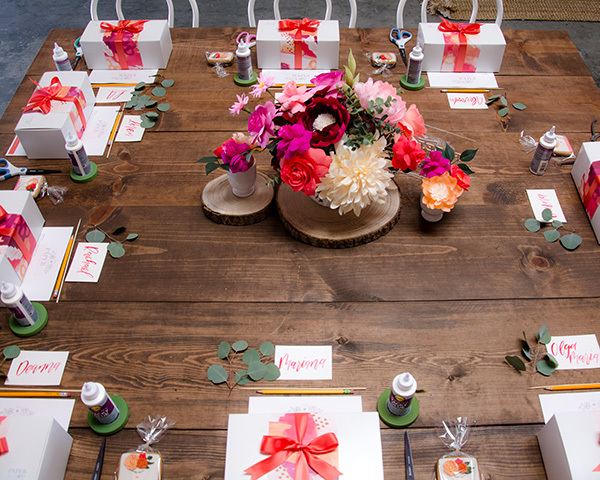 There are many places to bring in color, from the centerpieces, decorations and food to name a few! 2. Simplicity goes a long way. It also makes it easier for yourself, and cleaning up afterward as well! 3. Have a DIY drink station so people can control how much alcohol they’d like in their drink. Also provide non-alcoholic alternatives. 4. 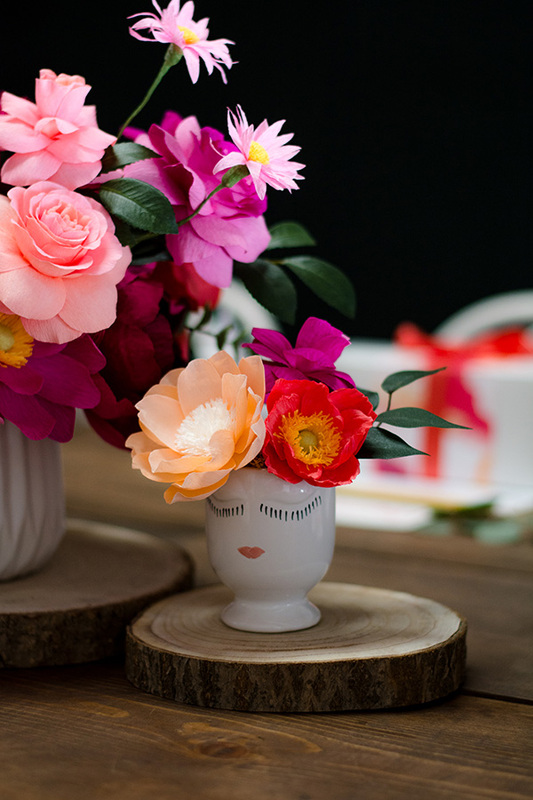 When working with a colorful set of flowers for a centerpiece, use a contrasting lighter vase so that the flowers can really pop. Wooden slabs can be used to help create levels for the various centerpieces. 5. Create name cards for guests so that groups can be seated together. 6. Decorative paper plates help provide a nice pop of color and makes clean-up a cinch as well. 7. Adding a touch of greenery by each setting makes a great decorative detail! 8. Grazing platters allow attendees to have something to nibble on throughout the event and party. 9. Have a fun backdrop so guests have a place to take photos at. You can even assign a unique hashtag for social media so you can use it to look back on photos that your guests take! 10. Provide a fun and unique keepsake that guests can bring home with them. Interested in having your next event or dinner party featured in our Entertaining with Style series? If so, email me with details of your event!